1) Any eVo nic salts 30ml e liquid from the range - select from 35 or 50mg nic. 2) A Justfog Minifit nic salts-friendly pod system. Everything you need to try a superb nic salts set up for under NZD 50 bucks! Wow. By buying this product you can collect up to 4 loyalty points. Your cart will total 4 loyalty points that can be converted into a voucher of NZ$0.60. 1) Any eVo nic salts 30ml e liquid from the range - select from 35 or 50mg nic. Select from 4 flavours: Cryptic Blast, Bubblegum, Spearmint or Wild Watermelon. 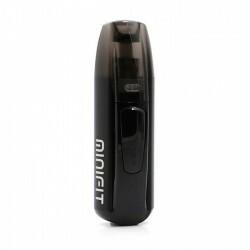 2) A Justfog Minifit nic salts-friendly pod system. Device comes in full black colour. Everything you need to try nic salts for under 50 bucks! 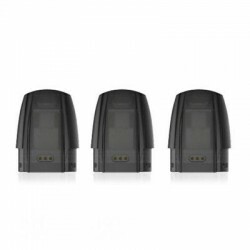 Justfog Mini Replacement pods are sold separately. What's in the Justfog Minifit Pod System's box?